When learning about the Ford Pinto case it was easy to see that people can become so reckless when it comes to the big picture of making a profit. It is a scary thought, thinking of how far some people would go to just simply make a few extra dollars. Now in this case, it was obviously a little more than a few dollars. Ford brought the Pinto to the production stage in two years, normally it takes about 3 and a half years. Ford continually crash tested Pinto's only to find that it would result in a ruptured fuel tank. In the process the cars were not the only things that were lost, lives were put in dangers and some were even lost. Why are such acts allowed to be committed? Are there not other ways? The thing about this case that really struck a cord with me, is that according to the National Highway Traffic Safety Administration the value of a loss of life was only $200,000. They placed a price on a life that easily. The broke the cost down into many different categories including legal and court, funeral, property damage and employer loses. Those categories are measurable, those I can understand. However they also have a category called Victims Pain and Suffering which is $10,000. That is it. Now how is that justifiable? How is anyone able to make the decision that someones pain and suffering is worth $10,000 and that the value of their life is worth $200,000. Peoples lives were lost because Ford rushed the Pinto onto the market solely for the purpose of making a profit quickly. In result, people got injured and people died. 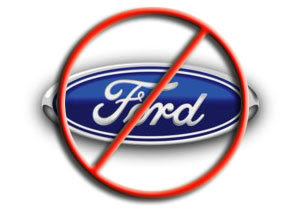 All Ford had to do was go to court, death with lawsuits and pay some money. While the families, to this day are still dealing with this 'pain and suffering' category. The thought that money can make problems go away is ridiculous, no amount of money can pay for a life.